Do you dream of the most ideal car buying experience, right in the comfort of your home? 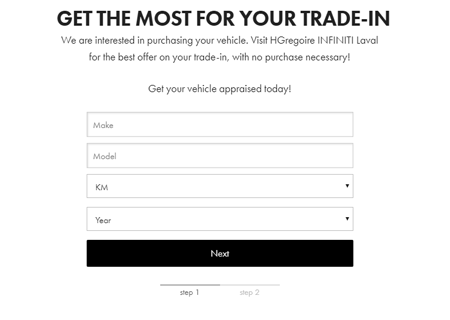 At HGregoire INFINITI Laval, browse, inspect and purchase the perfect car that meets your needs, taste, and budget, all online! At HGregoire INFINITI Laval you can reserve your car of choice for 48 hours using our free online reservation service. Rest reassured that your vehicle is waiting for you, until you make your decision! 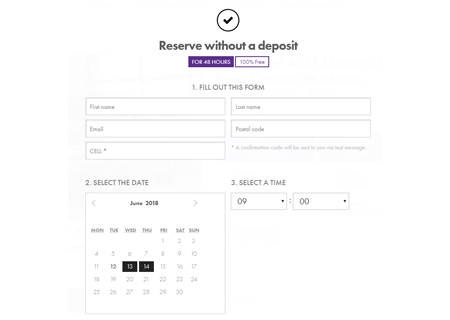 Just click the “Reserve this vehicle” button and we’ll keep it aside! Want to know more about one of our vehicles online? Have a question about our policies? 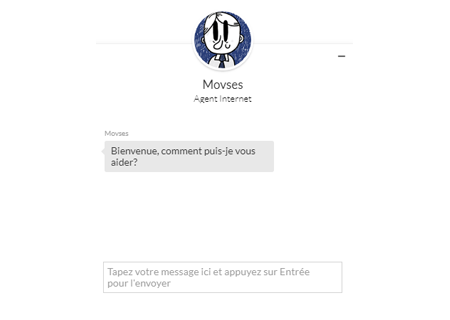 Simply click on the image icon at the bottom right of the page to chat with a representative right away! Our team of experts are excited to help answer all your questions and guide you on your car buying journey. 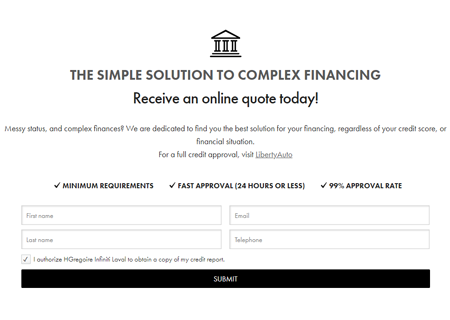 Obtain financing on your new car directly from our free online credit form. No matter what your financial situation and credit score, we always offer a solution. 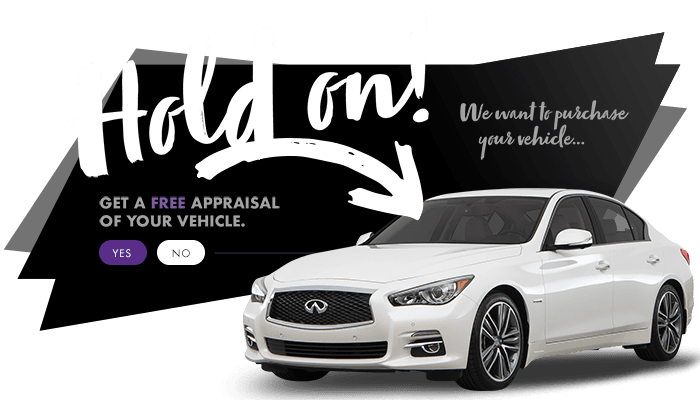 Visit HGregoire INFINITI Laval to get worry-free financing, at the lowest rates ever. Enter your information using our secure and confidential form, and you’ll get a credit approval in minutes! Selling your car has never been so easy. Simply fill out our online form, and we’ll get back to you with the best offer! You don’t even need to buy one back from us! Our offer is valid for 7 days, or up to 1000 kilometers, so you even have time to make sure you’re making the best decision!